Some years back I told my friend Dagne that I always finished a book once started on it, no matter how bad I found it. Did I feel I owed it to the author, in some peculiar way? Dagne found it outragous, and I eventually admitted that life is too short to bother about bad books. Since then I have been terribly choosy, every book I read has a purpose behind. I only rarely read a book on impulse. First of all I quit reading crime novels. I have read a lot of them, – and enjoyed, but it strikes me that there is nothing much to learn from a crime novel. When people ask me how I have come to know so much about India; about culture, politics, geography, demography – whatever, I always answer; from novels. My number one source whatsoever. So how do I chose my books and where do I find them? Some authors I follow closely, year after year – American Alice Hoffman being one of them. I guess I have every single novel she has published, most of them in the original language. There are two reasons I buy the American edition. For a start I can’t possibly wait for a translation. Moreover, Hoffman’s language is worth reading as she wrote it. Nobody can descibe the elements of nature as Hoffman describes it; a soaring heatwave in small town America, or a bitterly cold night, the overwhelming smell of a flower or the intense buzz of a bee… Nobody is able to paint those pictures with words like Hoffman does, and no translation can ever justify it. Her novels are a garden of delight! A few years back she came down with cancer. Then followed a couple of novels where she obviously was writing her way out of this trauma. Half way through her last novel; The Story Sisters, I told a friend that Hoffman was out with another novel. Any cancer, she asked. Not yet, was my immediate answer, although we have one drug addict. The day after, hell broke lose in The Story Sisters. Leukemia. Heroin. Death. A fatal accident. It was overwhelming, I decided to finish the book in one go and felt totally drenched afterwards. But the book also paints a picture of two beautiful old, eccentric and forgiving women, who made up for all the grief. 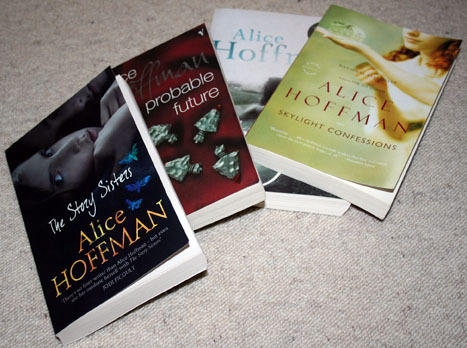 Alice Hoffman - a long time favourite! I went from Hoffman to Chowringhee by Sankar, for me a totally unknown Indian author. The book was published in 1962. 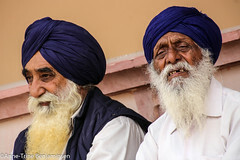 Indian literature is a passion, no doubt. I search for new titles and new authors everywhere. 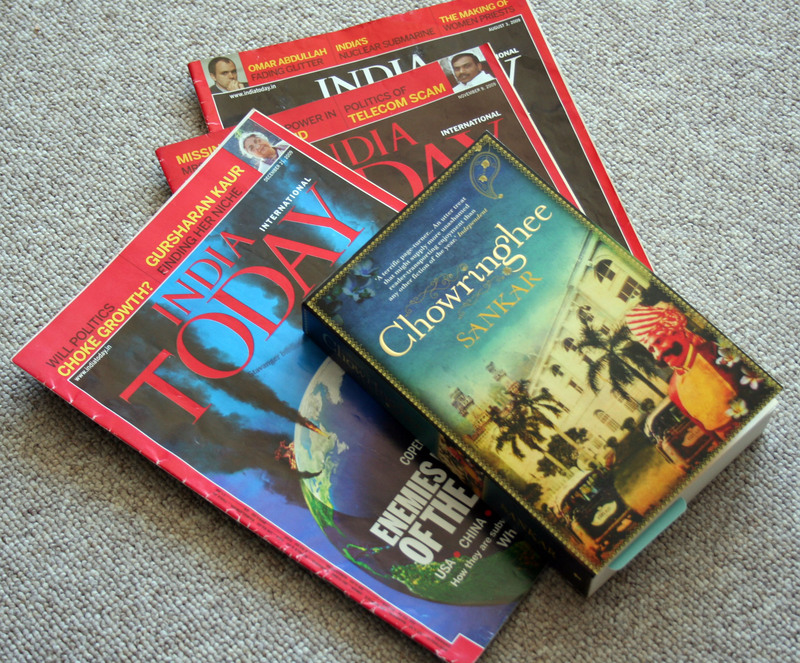 In January I picked up the 2009 volume of India Today at the library, given to me for 50 kroner. Some of those issues I already read last year, but the reason I asked for them was to look more closely at the book reviews. I go through every issue and add books of interest to my list. India Today is an important source when I'm looking for Indian novels out of the main stream. 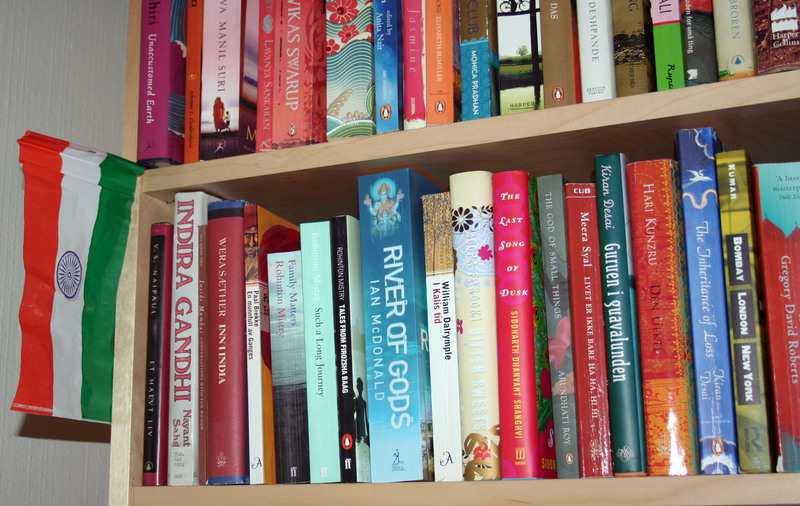 Last year, in Delhi, I found a small bookstore crammed with books, in Connaught Place. The sales personnel was obviously impressed with my list and criss-crossed the floors in order to fulfill my wishes. (Lurking in the back of my mind was of course weight…. books are heavy and KLM make no concessions for book addicts). Indian bookstores are great, whether small or big. I could spend hours. But books are also sold on the street as well, sometimes laid out on the pavement. Dusty books wrapped in plastic, impossible to pass by…… Impossible not to listen to the vendors advice. 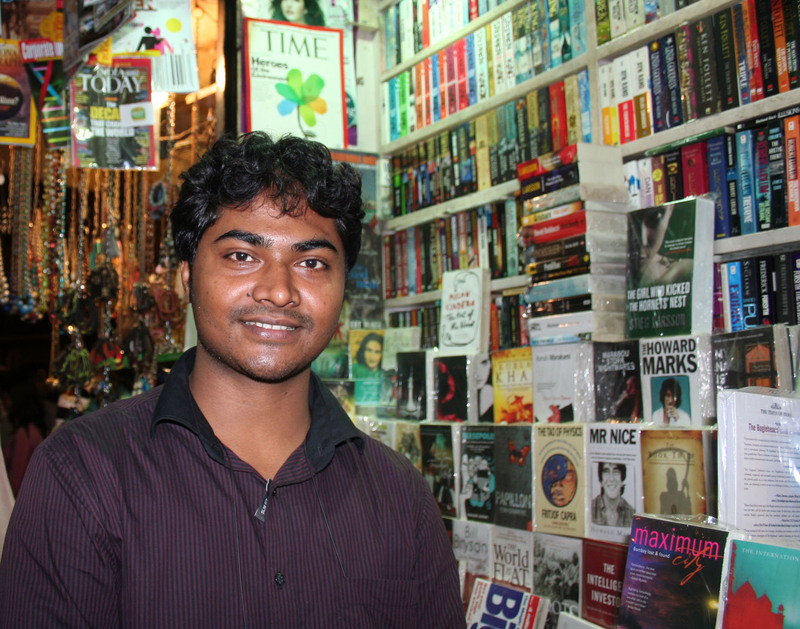 My favourite book seller in Colaba, Mumbai, last year. Sometimes people tell me – oh you should read this or that book…. I hardly listen. I panic. First of all, I have my own constant mental list. Of authors I follow closely. Of books I’m thinking of buying. Of books I should read (Knausgård for example – I have only finished volume 1). But I mostly panic because of the various piles of books at home. Everywhere. My own favourites and my own research is keeping me more than busy, other people’s advice must have me excused. 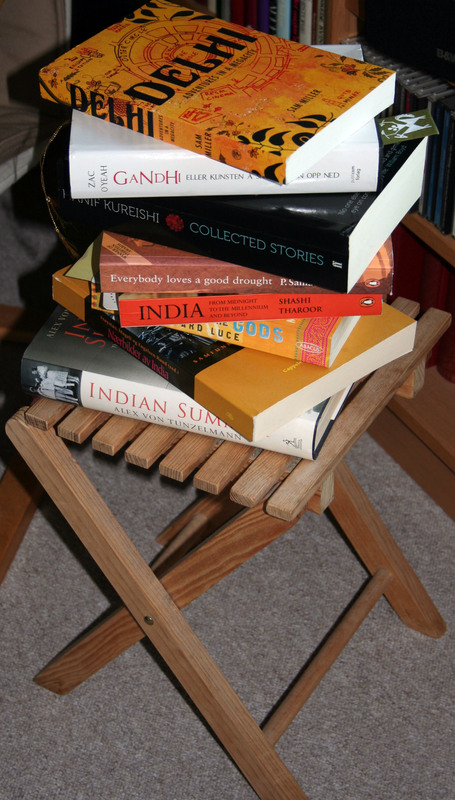 One of many piles of books I should read before buying more…. 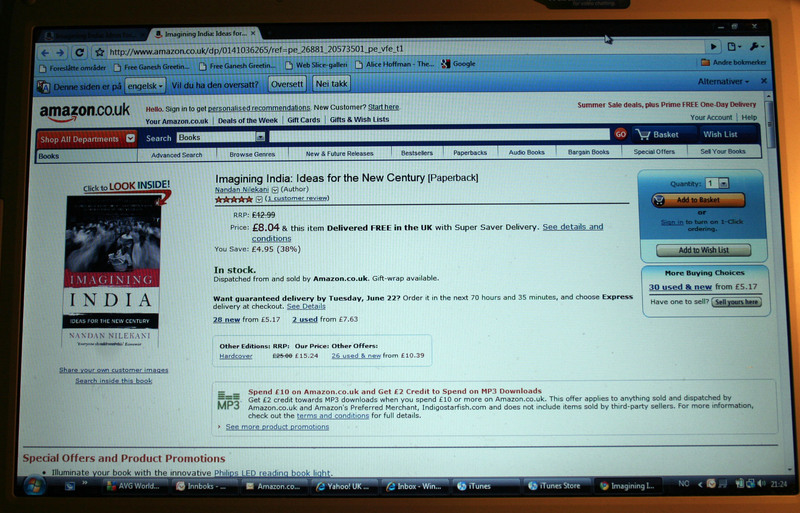 The web store Amazon is an important source of information, annoying though it might be. The system is “intelligent” in the way that it remembers your buys and feeds you with more of the same. In my case; mostly Indian literature. The danger is that when all these offers pop up – one tends to buy on impulse…. Anyway, at the moment I’m jotting down any interesting suggestions and await my visit to Mumbai in November. I dont know what is worst though, paying postage through Amazon or overweight on the plane…..
Good or bad... Douglas Kennedy shortens a long journey for sure!